Books that would make great gifts! For the little fishes on your Christmas list, consider ALL FISH FACES: Photos and Fun Facts about Tropical Reef Fish. 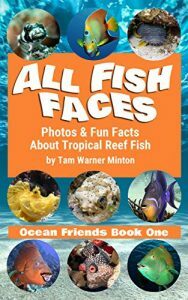 This special book was created by Tam Warner Minton, an empty-nester turned solo world traveler, who created this book to help children learn all about the colorful tropical fish faces beneath the sea. ALL FISH FACES shows you up-close images of tropical reef fish while providing educational facts. Proceeds from the book will benefit the Marine Megafauna Foundation, which strives to keep the ocean clean, safe, and healthy for all. Minton hopes readers will understand the importance of ocean conservation through her work. She is specifically empowered with educating children on this topic. Her hope is that the close-up images of tropical fish will help humanize the undersea world. This is an educational and fun book for children of all ages! 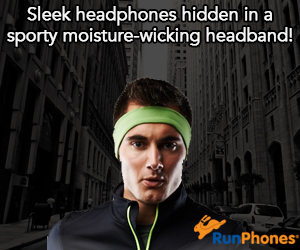 You can find it easily on Amazon.com. Love cake? You will love this book! 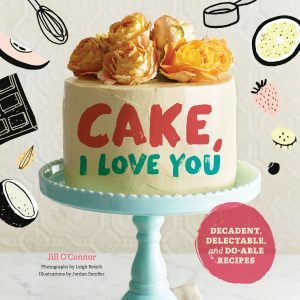 Cake, I Love You by Jill O’Connor. This is a beautiful book that will make you want to bake a cake! It has more than 50 divinely decadent recipes home bakers will want to make right away. I really like that these aren’t a bunch of complicated cake recipes. They really are beautiful cakes and the recipes are easy to follow! There are so many different cake recipes and I loved a banana one that I made. This book can also be found on Amazon.com. Hold mighty beasts in the palm of your hand! 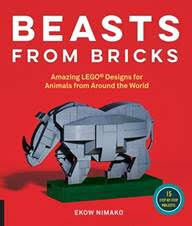 In Beasts from Bricks, LEGO® artist and designer Ekow Nimako shows us how to re-create wild animals in stunning detail. The book presents illustrated step-by-step instructions for building 15 animals from around the world: Africa, Europe, Asia, the Arctic, Oceania, Central/South America, the Caribbean, and North America. Each set of instructions includes entertaining and educational information about the animal’s characteristics and habitat. Also included is a bonus gallery of Nimako’s more complex, large-scale animal designs. 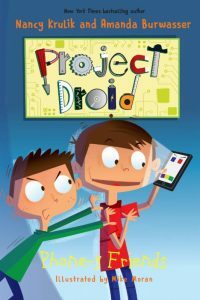 This one can be found at Target, Amazon.com and Barnes & Noble. Brick fans, start your engines! 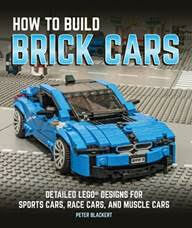 With How to Build Brick Cars, readers will tap into their inner creativity as they build their way through classic and contemporary sports cars, race cars, and muscle cars. Each build was designed by Peter Blackert, one of the world’s foremost custom builders in the brick world as well as a real-life car designer for the Ford Motor Company, and features informative and historical text about each car, step-by-step instructions, and STEM skills masquerading as LEGO® fun! Look for this one at Target, Barnes & Noble and Amazon.com. I love this next one! THE ART OF THE MOULIN ROUGE. Since 1889, the world-famous Moulin Rouge dinner revue has celebrated the essence of Parisian joie de vivre or “Joy for Life”. Through the ages, artists of all kinds have been attracted to the vibrancy and vivacity of the Moulin Rouge. Henri de Toulouse-Lautrec found inspiration in the Cancan and the impertinence of La Belle Epoque or “The Beautiful Era” that was late 19th-Century Paris. During the 1920s, Mistinguett, the “Queen of the Dance Hall” played muse to the young sketcher Gesmar. Since then, artists have continued to produce hundreds of paintings, prints, posters, and drawings that capture life as a performer in one of the most iconic venues in the world. 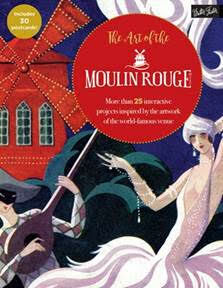 Fans of Toulouse-Lautrec and the Moulin Rouge will enjoy The Art of the Moulin Rouge. 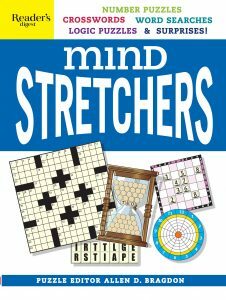 Filled with coloring pages, dot-to-dot puzzles, and color-by-number templates based on the theatre’s most famous posters and program art, coloring enthusiasts will enjoy adding their own unique spin to these legendary and symbolic works of post-impressionism. Following a brief introduction to color theory and ideas for working in different color mediums, present-day artists will embark on a creative journey through time to celebrate the lush lifestyles that epitomize Parisian culture as seen through the portals of the storied Moulin Rouge. Thirty full-color Moulin Rouge postcards are also included in this beautiful book. Coloring pages, dot-to-dot puzzles, and color-by-number templates inspired by the famous poster art of the Moulin Rouge. An introduction to basic color theory and working with different mediums, as well as finished samples for inspiration. Thirty full-color, postcard-size cutouts of famous Moulin Rouge posters and artwork. 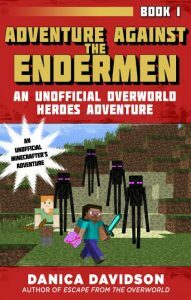 This amazing book can be found on Amazon.com. 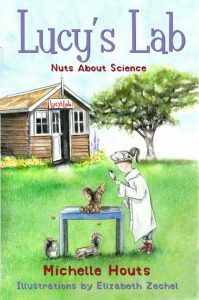 Launching a new chapter book series from IRA Children’s Book Award-winner, Michelle Houts, the Lucy’s Lab series draws on STEM themes and is aligned with curriculum guidelines to bring a love of science to young readers, inspiring them to start their own labs and explore their world. When Logan’s mom builds him a robot cousin, it’s nothing but trouble, especially with the science fair coming up in Science No Fair! When Java becomes a ball hog, Logan’s plan to win back the spotlight short circuits in Soccer Shocker! Next, in My Robot Ate My Homework Logan better stop using Java to do his work and hit the books so he doesn’t flunk out. And in Phone-y Friends Java’s attempt to find some friends of his own doesn’t quite go as planned. The books above can be found on Amazon.com. 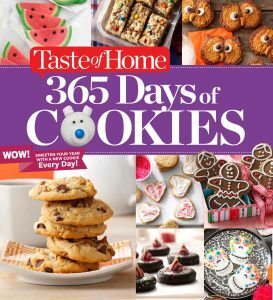 It’s time for baking Holiday cookies and you will find so many cookie recipes in this great book! 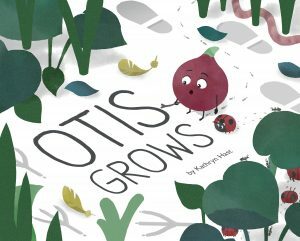 In the beautifully crafted new children’s book Otis Grows by Kathryn Hast, we’re introduced to young Otis, a red onion who is forced to question his origin and allegiances—given that his mom, a yellow chicken, is part of the Nuh-Uhs, and his dad, a blue flower, stems from the Yes-Chums. Struggling to find answers, Otis runs away, only to encounter more colors and cultures than he could ever imagine. Rooted in the challenges of family conflict, this book appeals to any child – or adult – who knows that growing up can be tough, but that, ultimately, love and wonder will win. Full of bright color and themes of growth and awakening, Otis Grows is a perfect addition to every family’s reading list. Otis Grows can be purchased from www.lujubooks.com and Amazon. Self Disclosure: I received copies of the above books and highly recommend them all! Images and information were also provided. Shake It Up! With Rimmel London this Fall! Beauty Must-Haves! Edge Your Look in an instant with the NEW! Rimmel London Brow Shake Brow Filling Powder, a lightweight, three-in-one brow powder to fill, define and line your brows with ease and on-point precision. Its soft, long-wear formula creates bold, impactful brows, and can also double as an eyeliner for a sultry, smoky look. The formula is waterproof, fade-proof, transfer-proof and smudge-proof for picture-perfect brows that stay set all day and night! I love how easy these are to use! Use the Brow Shake Brow Filling powder to create fully sculpted brows quickly and evenly every day. Apply the precision applicator in strokes, filling in any gaps in the brows. Glide the applicator across the upper and lower lash lines for added definition. Ready to shake up your lash-look?Rimmel London introduces new Shake It Fresh Mascara, the freshest mascara on the block that won’t dry out or cause clumps. Shake it up to keep it fresh from start to finish. Rock ultra-smooth, clump-free volume from first to last use. First-to-market Shake-Shake technology makes Shake It Fresh Mascara last longer than normal mascara. Patented shaker system refreshes the volumising formula when needed. The formula stays good as new and clump free from first to last day of use. Volume Defining brush with flexible fibres volumises and separates lashes from corner to corner for a mess-free, defined look. Enjoy flawless, clump-free, smudge-free volume with every application. I love how it does not clump!! 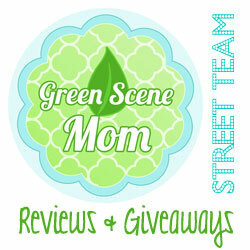 Self Disclosure: I received free samples, info, and images to facilitate this post. But, I highly recommend and have tried the products above. The County of Orange and OC Parks invite the community to celebrate the holiday season with the animals of the OC Zoo on Saturday, December 16 from 10 a.m. – 3 p.m. during Christmas at the OC Zoo. 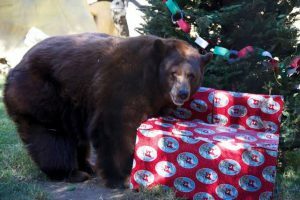 Christmas at the OC Zoo welcomes families to watch animals of all sizes open treat-filled gifts hidden inside Christmas trees and gift boxes. Children can delight in visits with Santa Claus and story time with Mrs. Claus. The jolly festivities continue with seasonally inspired crafts, games, and a festive photo station. Reservations are not required to enjoy Christmas at the OC Zoo. The holiday activities are free with paid zoo admission. Join the holiday festivities with OC Parks and the animals of the OC Zoo! Atlas is Pet of the Week! Atlas may be as strong as the mythical Titan he’s named for, but the shelter staff call him Lover Boy! He’ll run to you to give you kisses! He’s jolly and loves being with people, and he knows “sit” and “stay.” Atlas came in as a stray and his family didn’t come to look for him, but he’s not one to carry the world on his shoulders, like his namesake. 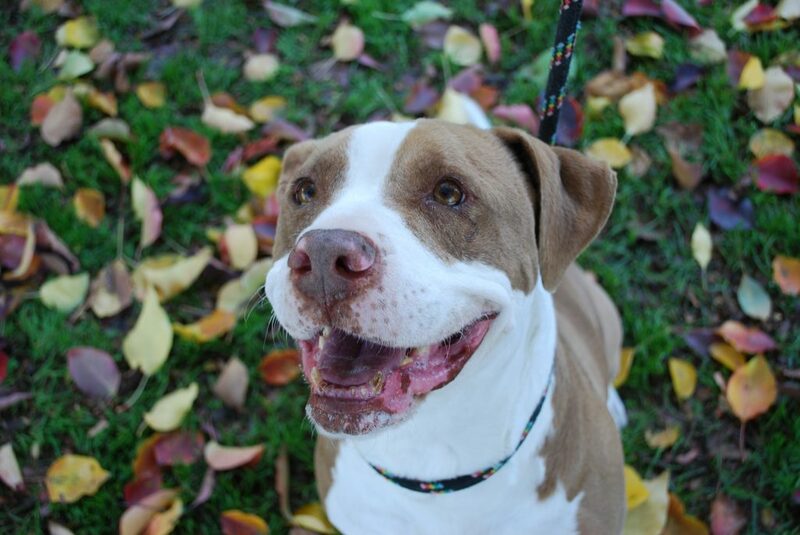 Make his holiday happy—meet him at 7700 East Spring St., (562) 570-PETS. Ask for ID#A591640.